This is a refreshing and endearing portrait of Martha Washington as few people see her. She was a strong, beautiful, passionate, family-oriented woman, who had a deep loving relationship with both her husbands, Daniel Parke Custis and George Washington. Her graciousness shined and despite her longing to live a quiet private life, she stood by George’s side throughout their marriage. She met the challenges as wife of the commander-in-chief of the Continental Army during the Revolutionary War, and the first president of the United States. Martha was born Martha Dandridge on June 2, 1731 on her parent’s plantation, Chestnut Grove, in New Kent County, Virginia. The author, Patricia Brady, describes the places, events, and expectations of the times with a level of detail that gives the reader a clear picture of the things Martha would have done and experienced—domestic, social, political, and religious expectations for a woman who came from a fairly well-to-do family. Martha married Daniel Parke Custis in 1750, a man twenty years her senior whose father was abusive and controlling. This seemed to be a pattern. George Washington’s mother, Mary, was abusive and controlling, as well. As a reader, this suggests to me that Martha’s capacity for kindness and emotional support may have been one of the things that attracted both Daniel and George. She and Daniel had four children. The two eldest died as toddlers. Daniel’s sudden death in 1757 left her, at the age of 26, the wealthiest widow in Virginia, with a 17,500 acre estate to manage and two very young children to raise alone: a three-year-old son, Jacky, and a one-year-old daughter, Patsy. This set a precedence. There was no male trustee to control her property. She was independent and free to make her own decisions, and she did so with confidence. George Washington, whom she married on January 6, 1759, recognized this strength and rarely questioned her decisions while he was away. In 1773, Patsy died of a seizure at age seventeen. It was terrible blow to Martha, as well as, George, who was a loving stepfather to Patsy and Jacky (Martha and George had no children of their own). Seven years later during the Siege of Yorktown, she would lose Jacky (who was married with children) to “camp fever”. Martha surrounded herself with family. Many young nieces, nephews, and grandchildren lived at Mount Vernon which was a great comfort to her. Of course, the American Revolution greatly affected every facet of her life. The author describes the events of the war accurately and succinctly. George was away from the Washington’s home, Mount Vernon, in Virginia, the entire eight years. Martha spent every winter with her husband at the Continental Army camp, often accompanied by nieces, nephews, and grandchildren. In the first week of May, 1802, Martha became ill with one of her frequent stomach upsets. She died at Mount Vernon on May 22. I highly recommend this historical and spiritual book that contains elements of a great romance. 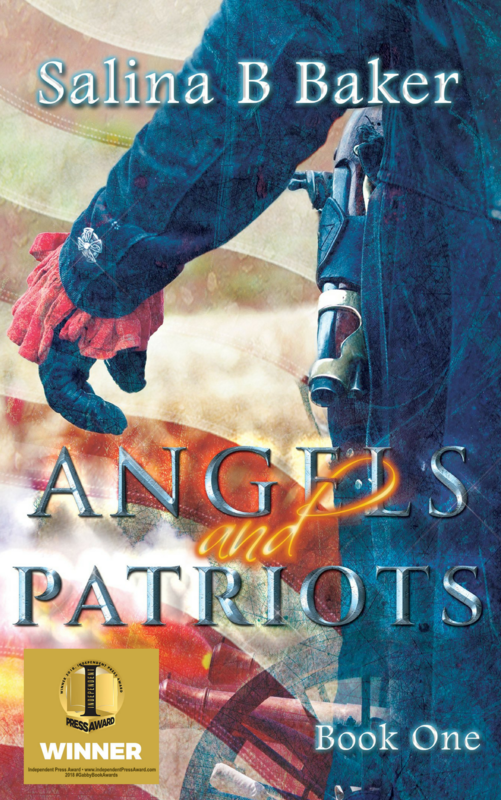 Previous Previous post: Angels and Patriots Book One has been honored!